Closed for 2018. Open May 2019. Reserve Now! 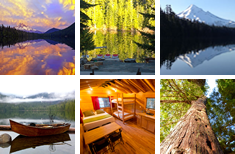 Online reservations available 24/7 and phone reservations available 8am-5pm at 541.386. 6366. The upper floor of the lodge has 6 rooms available for visitors. All rooms have kitchenettes and bathrooms with flush toilets and showers. Each room has dishes, cooking utensils, silverware, a toaster, and a coffee maker. Units 3 & 4 are wheelchair accessible and share a bathroom. 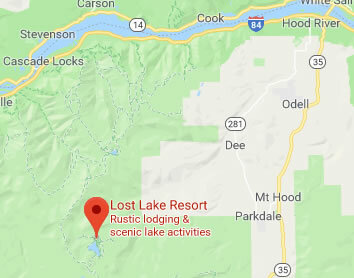 The Lost Lake Resort is located in the Mount Hood National Forest. The USDA Forest Service is an equal opportunity provider and employer.